A Place to find the tutorial on Java.on Selenium.on Python.on Hibernate.on Vue Js.and Other. Here in Java Tutorial for beginners you will learn the fundamentals of Java. These sections also contain cheatsheet for a quick review of what you have learned in a given topic. 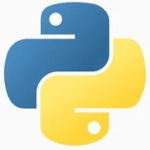 We have created this series about Python with the intention to give you a tutorial where you can start learning Python and have hands-on examples to ease your learning efforts. Selenium is a set of tools used to automate and test web applications.Since it is not a single tool, it is referred to as a Suite. In this series of Post we will talk about selenium and other tools. Hibernate is an object-relational mapping (ORM) library for the Java language. Hibernate solves object-relational impedance mismatch problems by replacing direct persistence-related database accesses with high-level object handling functions.